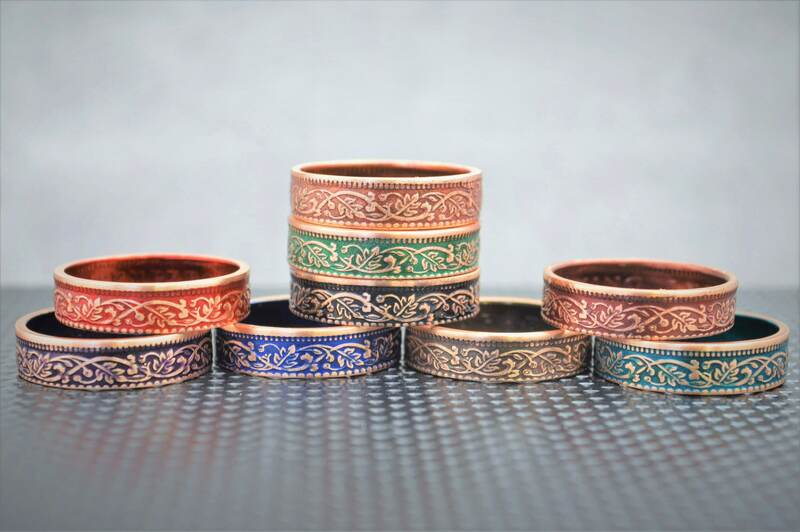 Each ring has a bronze nanoceramic coating applied to the inside and outside of the ring. I then remove a portion of the coating from the outside to highlight the beauty of the coin. Finally I coat the ring in a clear ceramic. 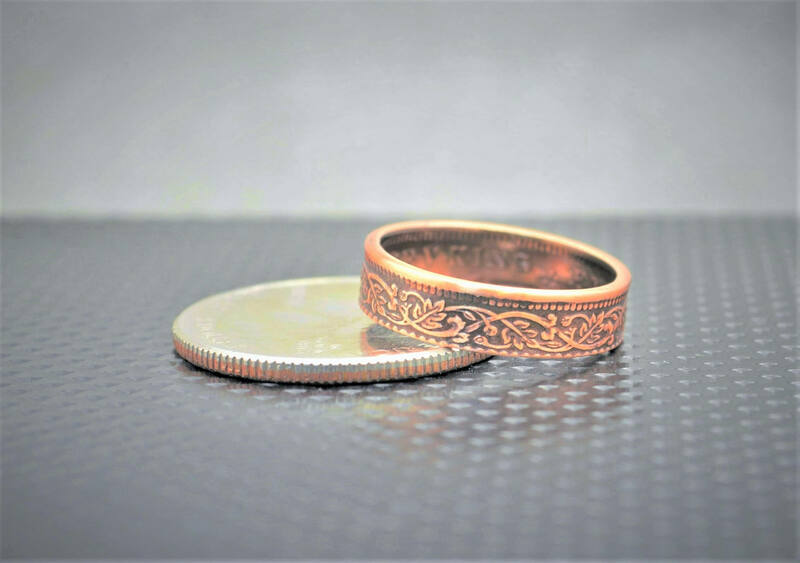 The clad coin has enough copper/nickel in it that untreated metal can be reactive to some peoples skin, so I have chosen to apply the nano ceramic on the ring in a way that will prevent the the possibility of harmless "green finger". The nanoceramic will wear off over time, however I offer free replating of the ring as needed just pay postage. A beautiful ring and it’s absolutely perfect! Michael was incredibly easy to work with! 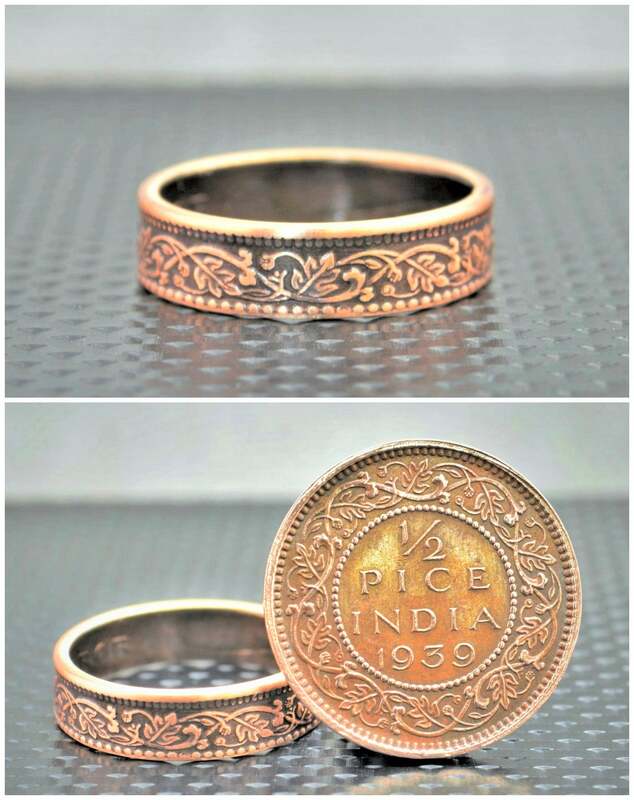 I ordered a custom ring in a larger size than was available through the website. Michael was quick to respond and the ring turned out amazing! Thanks so much Michael! !